Started racing in 1959, his first race in an Ace Bristol at Lime Rock with the Renegade Racing Club, won in the rain, on Michelin rain tires. Continued racing though the early 1960’s in various Spyder 500 Porsches. 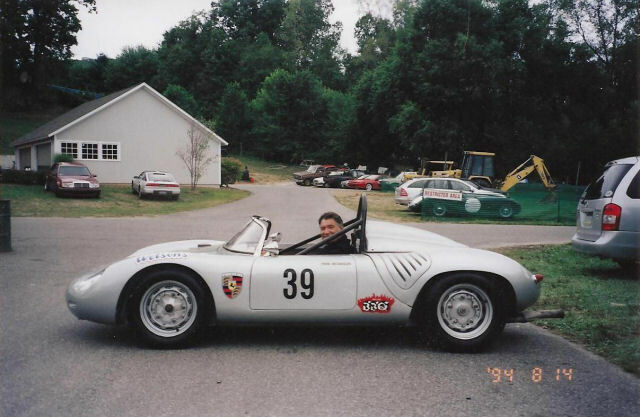 Herb then moved to faster Porsches, 904’s and 906’s competed in the Bridge Hampton Double 500, the Watkins Gen 500, and the east coast USRRC series, all in Porsches. Herb was invited to the ARRC race of champions at Riverside, CA in 1963. He raced the early Can-Am and USRRC races in 1966, competed in the Daytona 24 Hr. in a GT-40 Ford, and the Sebring 24 Hr.-won the Daytona 24 Hr. class in a 911 and finished 4th overall in 1969. Raced Trams-Am in Alfa’s U2 as well as Porsche 911’s. Herb retired from racing for 10 years, but returned in 1980 racing vintage with SVRA, HSR, HMSA, has raced 20 various cars, over 250 races, still racing after 52 years and chosen SVRA “Driver of the Year” in 1997.